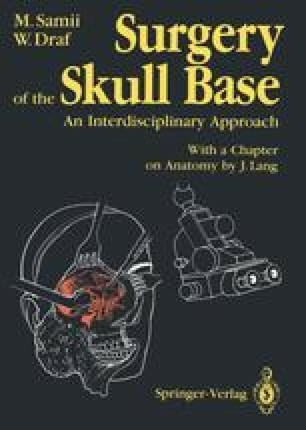 The pathology of space-occupying lesions of the skull base is highly diverse, and the different types of tumor present the surgeon with unique problems. The highly vascular tumors, for example, require a more extensive diagnostic workup that may include superselective angiography. Preoperative angiographic assessment of collateral flow via the circulus arteriosus is necessary when a radical operation is proposed that will involve sacrifice of the internal carotid artery.